In his first book since wrapping up the Child 44 trilogy, Smith proves his skill again in this entirely different -but equally engrossing- novel. Daniel stayed in London when his parents retired to Sweden, the land of his mother’s childhood. He put off visiting until his father Chris called him, telling Daniel his mother Tilde had been committed to a mental hospital. Before Daniel can board a plane to Sweden, his mother shows up with a battered satchel full of evidence and her side of the story, desperate to have Daniel believer. And oh what a story it is! Hakan, the neighbor of Daniel’s parents is a powerful man in the small Swedish town. Tilde comes to believe that he is harassing his adopted daughter, Mia. Hakan befriends Chris while attempting to make Tilde look like a mentally unsound stranger. Woven into the tale are elements of folklore: trolls, elk, deep cold lakes, and dark foreboding woods. Tilde knows her husband believes her to be insane, but has explanations for everything. Who should Daniel believe: his mother or his father? Tilde’s story is just realistic enough to be true – but it’s also just twisted enough to be the dark imaginings of a troubled mind. Daniel makes a surprising choice, but the story doesn’t end there. He eventually travels to Sweden, hoping to discover the truth for himself- and finds out there is yet another version of the story. 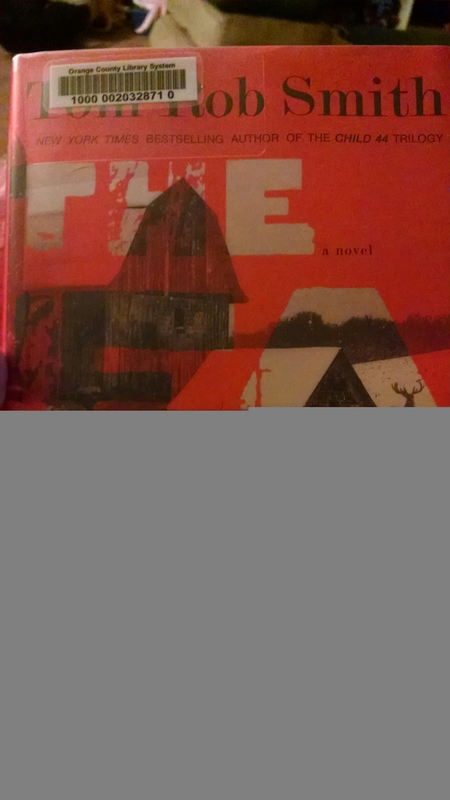 I read The Farm in two days, because once I started it, I couldn’t put it down. The most engrossing part of the book was Tilde’s story as she told it to Daniel. I kept going back and forth in my mind between “yes this seems plausible, I can totally see how this woman was a victim of conspiracy” and “this is totally paranoid and she is clearly imagining things.” But Smith makes you read to the very last pages of the book to find out which story is true.